There are many replacement window frame options to choice from. Each of these materials has advantages and disadvantages that are unique to them such as price, strength, beauty, flexibility and overall value. The frame material can be vinyl or uPVC, wood, fiberglass, aluminum or a composite windows. Replacement window frame options refers to the materials that surround the glass panes and glazing. Certain materials provide advantages in distinct geographical areas; wood is subject to deterioration in wetter climates, while vinyl – for all its insulation properties – can be affected by extreme wind, high heat and intense cold. Aluminum and composite frames withstand high winds the best. For homes in coastal areas, vinyl or composites offer the best protection from salt corrosion. The design of your house can also have a bearing on the type of frames you use. Mixing modern and contemporary designs clash, so try to select frames that blend – both in design and color. Frame materials can be fashioned to match their surroundings. While we won’t touch upon it here, options would also refer to replacement window hardware. 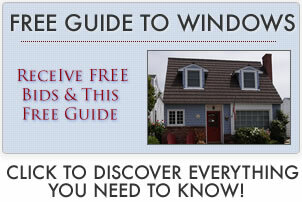 Learn more on the cost of window costs. Vinyl frames are currently very popular due to the durability, affordability and the fact that they can be customized to fit any window opening. Modern fabrication techniques minimize energy loss. They can be manufactured in thin configurations to provide maximum glass surface. To be sure of the highest quality in manufacture and preservation of color, the American Architectural Manufacturers Association certification seal lends assurance. These are also known as <a href="http://www.replacementwindowsconnect.com/materials/upvc-windows/"uPVC. Aluminum windows have overcome heat conduction drawbacks to where aluminum frames fabricated with special insulating properties afford resistance to heat conduction along with extra strength. Along with costing less than wood, aluminum adds strength, low maintenance, and resistance to breaking. Its popularity is still positive. Originally the material of choice for many years. Weathering and the need for high maintenance have made other materials more attractive but wood’s warmth and beauty still make a difference. High-quality wood clad costs more but adds value to a home. They can require refinishing with stain or paint and need waterproofing. The best frames are hardwoods such as mahogany, given hardwoods’ higher resistance to deterioration. Premier companies such as Andersen, Pella and Jeld-Wen offer high-end wood frames. Fiberglass windows are gaining popularity since they require low maintenance, enjoy high strength, are good insulators, and offer a generous selection of finishes. They’re high-priced compared to other frame options but as technology improves and their qualities become known, they should capture a fair share of the market.